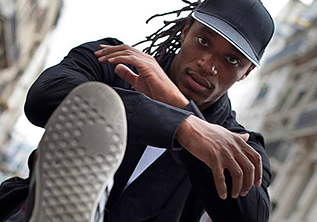 Lamarre Michael aka Niako, hip hop dancers multidisciplinary Val d’Oise (95) in France, began dancing in 1997 while studying in a school art in Paris. Already inspired at this time by Michael Jackson, he leaves then train in the middle hip hop through the B boying where he joined the Daltons Possee with which it evolves and will have the opportunity to dance on the important scenes of culture hip hop as “Encounters Urban La Villette” or “festival of Suresnes cites dances. In 2001, he incorporates the “International Dance Academy” school to study classical dance, contemporary and jazz, while incorporating the musical of “10 commandments”; where it will sit alongside the choreographers and dancers such as prestige Pfly , Bruce Ykanji, Dedson and Yaman from Wanted, Physs section C, Sandrine Vandeveld, Stephane Loras, with whom he developed an open mind and refined his technique. He later became a choreographer and a dancers turn professional , and work for people like KamelOuali, brands like Adidas or Puma, the contemporary company ArtobA, PropoS or for Matt Pokora, Beatriz luego, and other Rn’B and hip hop artist. Since 2004 Niako travels around the world and continues to evaluate and learn through his trips. After many victory in battles and a good pedagogy he became a dancer internationally known and a teacher recommended. In 2014, he also starts to be part of the international project named HIPHOP4HOPE in Philipines a longside of Kaizen picture. This project that try to bring the real value of the hip hop culture around the world by helping the street children with this street culture.